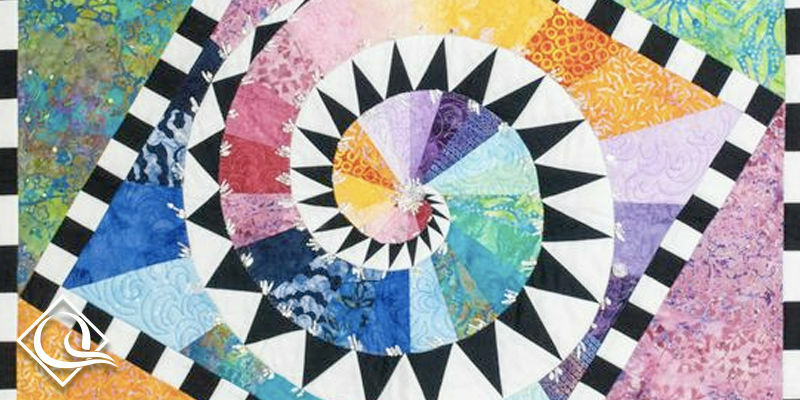 Finalists and winners from the New Quilts from an Old Favorite competition’s Oak Leaf & Reel theme. 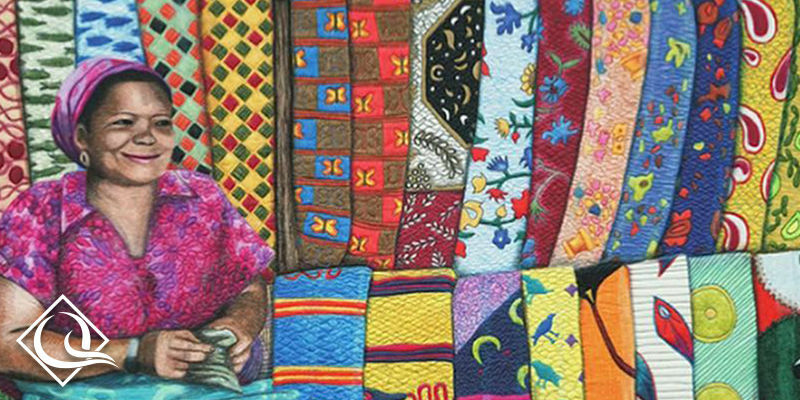 Hollis’ personal interpretation of everyday life in West Africa, portraying the rich African culture and the strong sense of community and family unity. 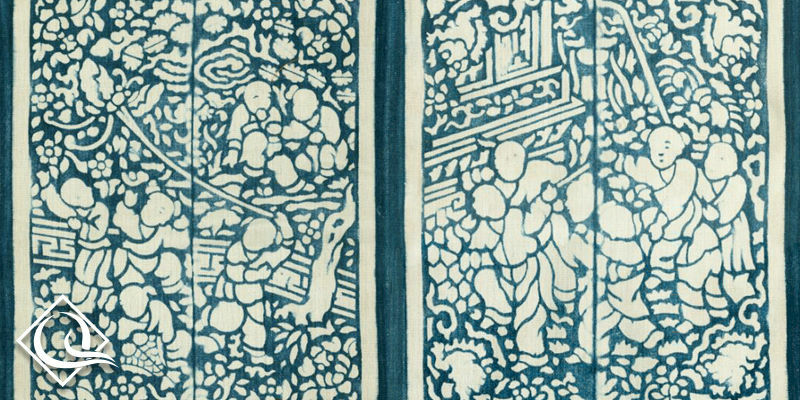 Special Exhibit: In Southeastern China, Lanjiaxie became a special textile for marriage. 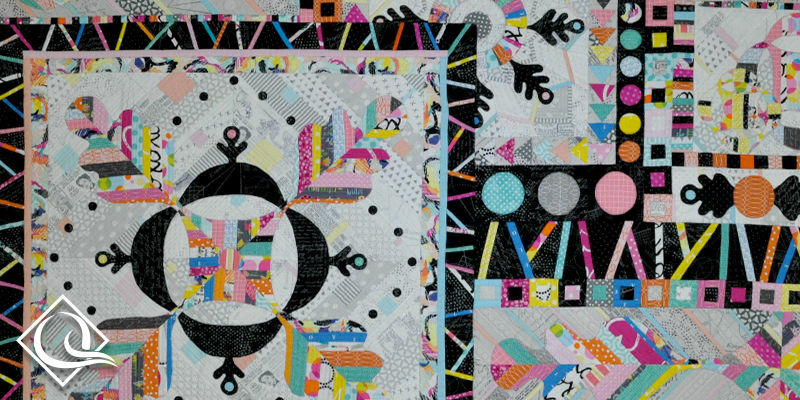 The patterns used indicate the desire for love and a better life. 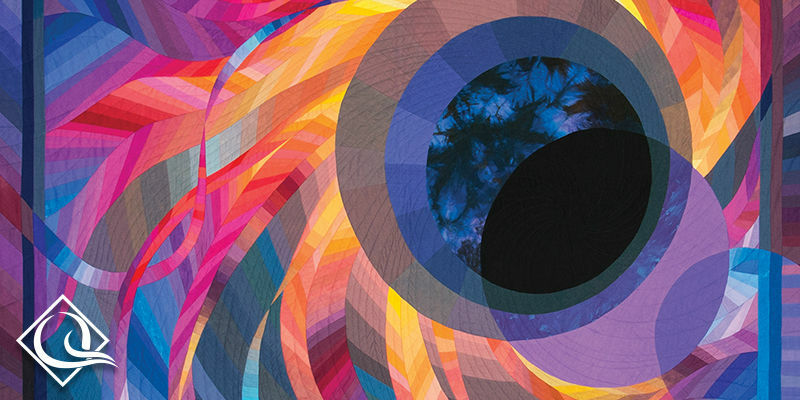 Curated by Qin Zhang. 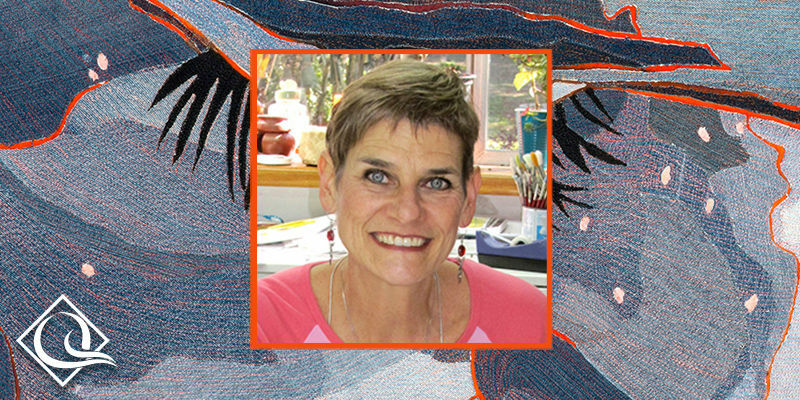 CORNER GALLERY: This Canadian artist followed her passion for sewing into making colorful textile art paintings. 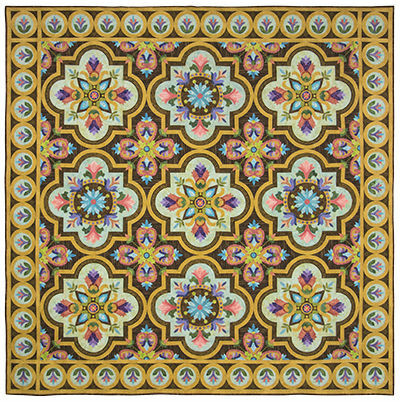 New acquisitions from the collection of the National Quilt Museum. 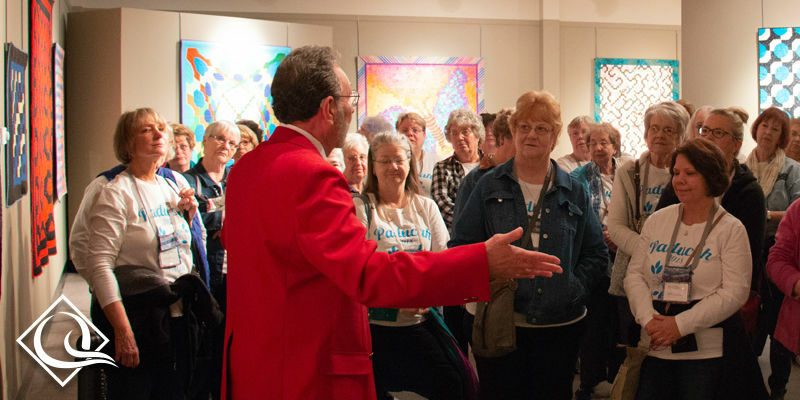 Exhibit features over 30 of the AQS Paducah "Best of Show" winning quilts since this show began. Only Two Blocks from the Show! 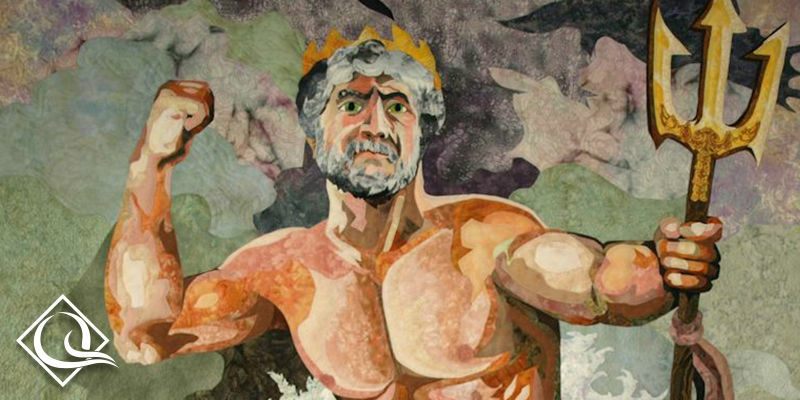 George and Virginia Siciliano demonstrate their unique quilting techniques. 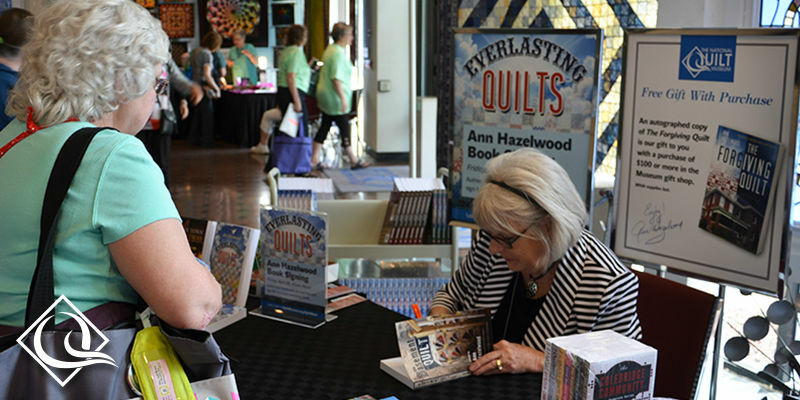 Author Ann Hazelwood will meet fans and sign her books. 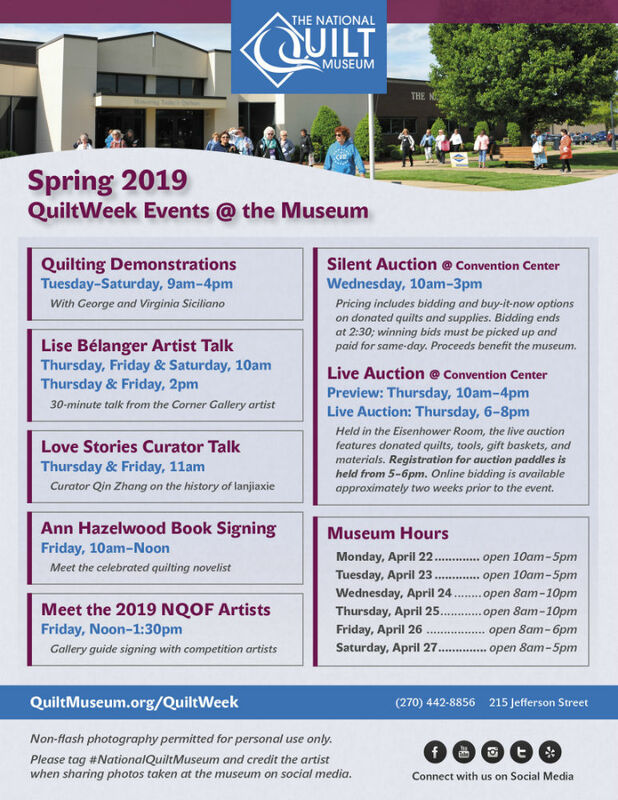 Artists from the New Quilts from an Old Favorite competition will sign the exhibit’s gallery guide. 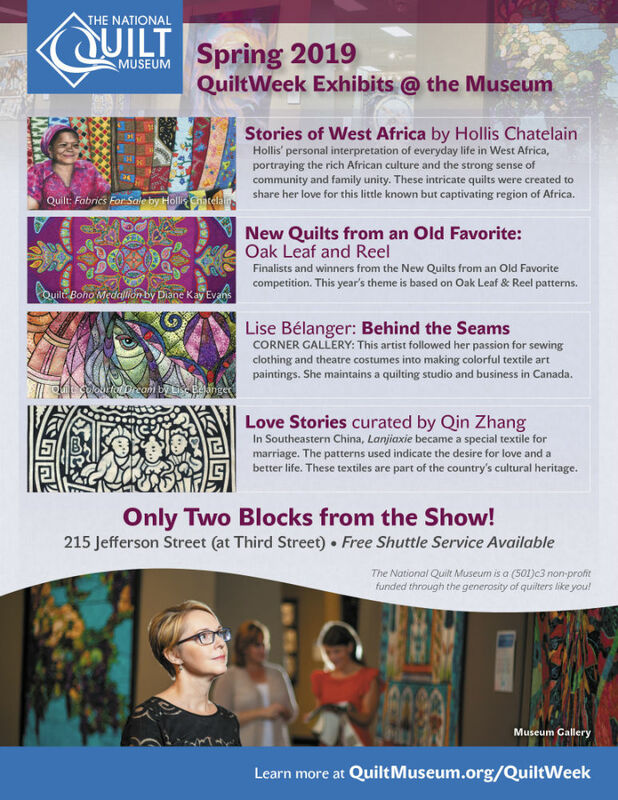 Featured Corner Gallery quilter Lise Bélanger will present a 30-minute Artist Talk about her work. Silent Auction: Don't Miss Out! 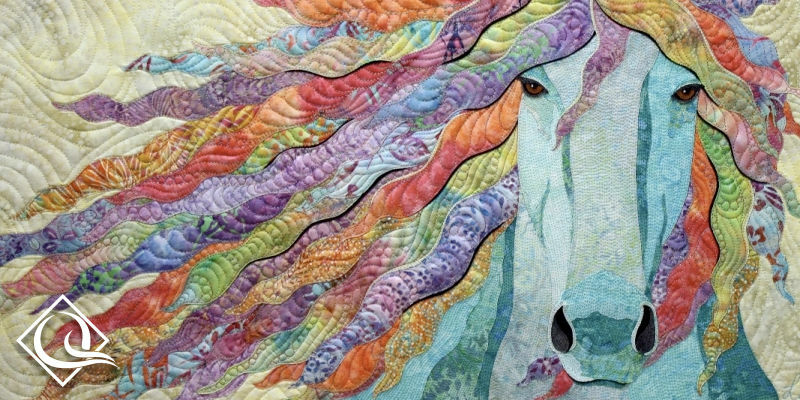 Pricing includes bidding and buy-it-now options on donated quilts and supplies. Bidding ends at 2:30; winning bids must be picked up and paid for same-day. 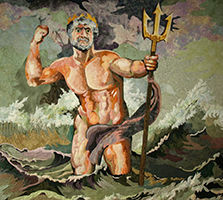 Proceeds benefit the museum. 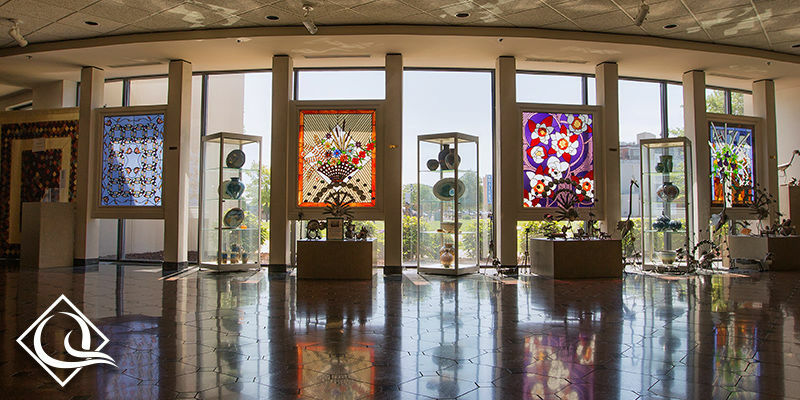 Open during museum hours with exclusive items and unique art gifts. 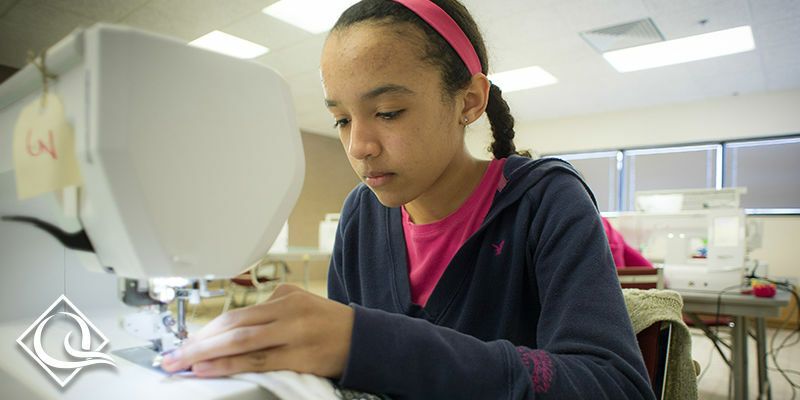 The shop also carries quilting supplies including Aurifil thread and pre-cut Moda fabrics. Friends of the Museum members save 20% on their purchase. 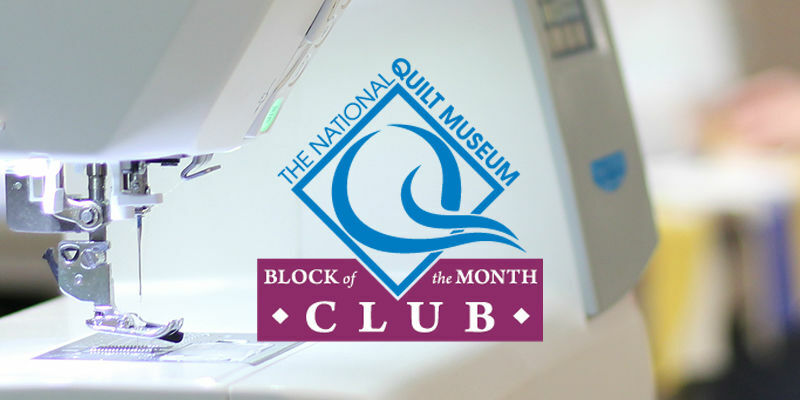 The National Quilt Museum is a (501)c3 non-profit funded through the generosity of quilters like you!